Funded by the National Science Foundation and Department of Agriculture, researchers from the Department of Meteorology at Penn State University are participating in a 5-year project to investigate water, sustainability, and climate of southern Florida. Researchers from Florida International University are leading the research project (http://sfwsc.fiu.edu/). Eleven universities are participating in the research activities. 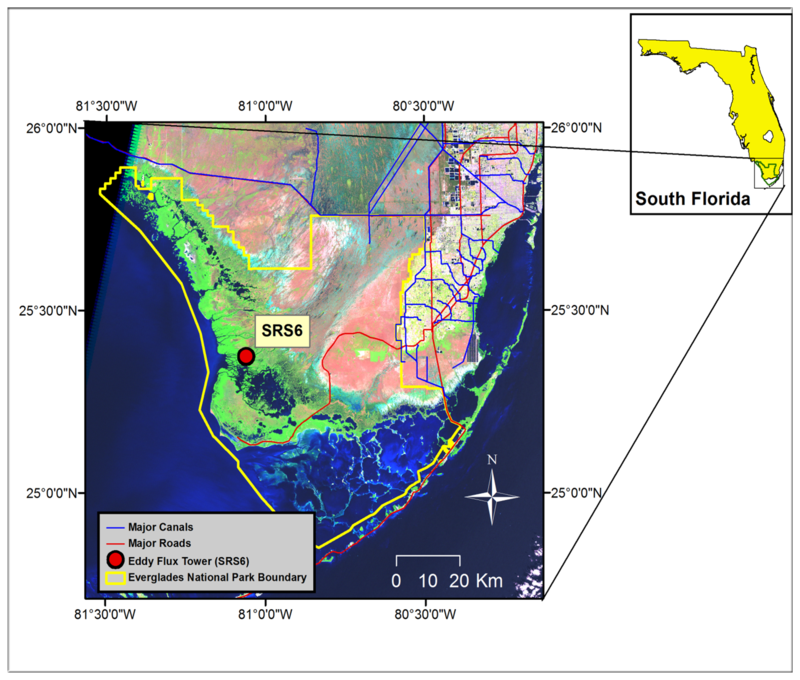 The Penn State team will contribute to carbon cycling studies in the Everglades (see eddy flux tower on the map) and perform regional downscaling of climate so that decision-making for south Florida water resources can be evaluated via ecosystem service valuation under current and future climate scenarios.